Designed by Arch11 out of Boulder Colorado, this modern intervention of a 1905 home, sits on the side of a hill in a historic neighborhood. 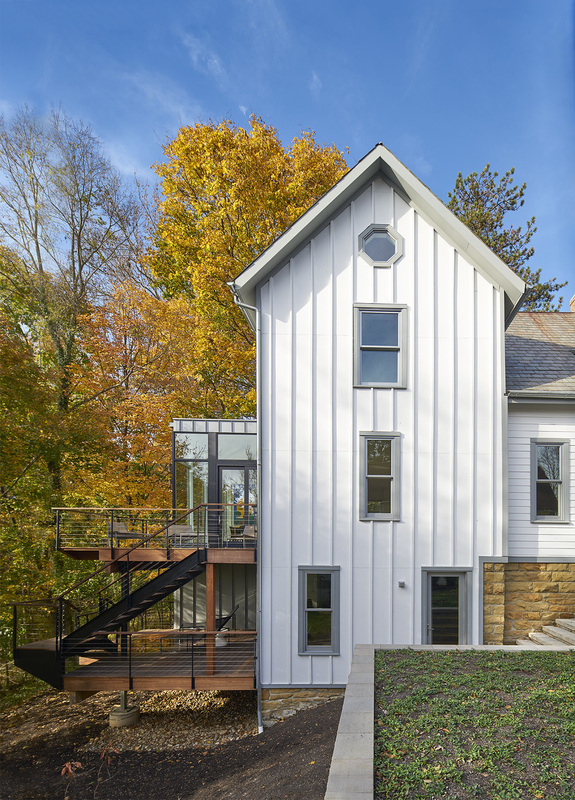 The exterior view shows the humble beginnings of this wonderfully modern home. 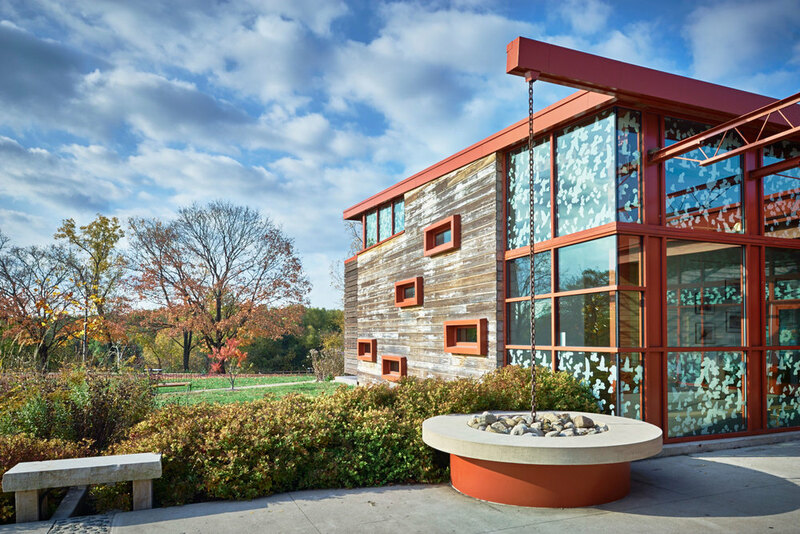 The Grange Insurance Audubon Center designed by Design Group is an architectural treasure. It is located on a former brownfield in the Whittier Peninsula, merely 1 mile from downtown Columbus.